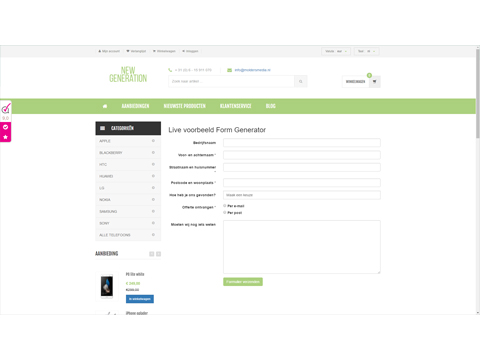 The Form Generator gives you space and time for the development and editing of web forms. For example for an extra contact form, questionnaire or newsletter sign up module. Add fields with a simple click, temporarily disable them or delete them permanently. 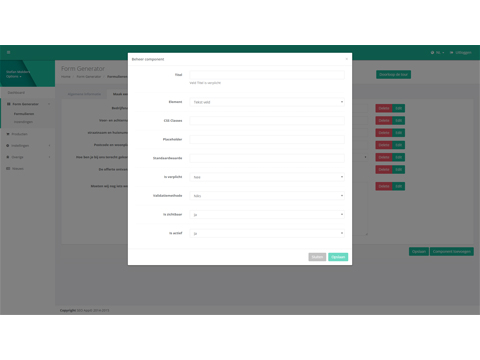 The forms are usable on any given page. 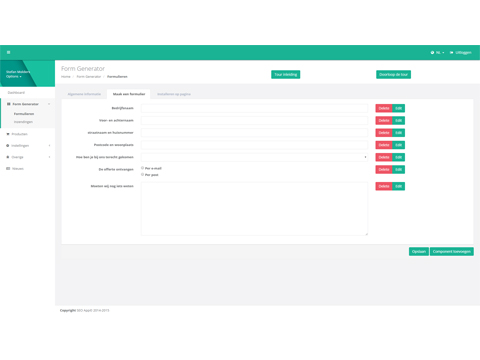 The simple interface makes Form Generator extremely user friendly. Make your own fields and drag them to a location to put them in the right order, it can’t get any simpler! It is also possible to add a validation filter to a field. Because of this it is possible to only allow visitors to use numbers or letters. We build in extra filters based on suggestions without any added costs. Is your form finished and ready to be shown on your website? All that you have to do is add the code that is stated under the step “installation” to your page. Do you have a lack of CSS skill? We would love to help you with building your own look and feel of the form. The costs for this service are dependent on your wishes, we charge 75% of our hourly loan. We are here to help you if you can’t get is set up. 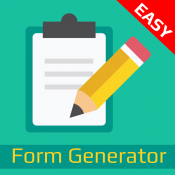 We are also always open for your questions about Form Generator. More information? Send an email to [email protected].